Over the past few weeks, we’ve been working on a few new features to round out the end of summer and welcome fall. As your teams get busy hiring ahead of the upcoming holiday season, be sure you’re up to speed on the latest features we’ll walk through below. Our new career site widget has been completely refreshed with a modern design that will look great on your company website, making it easy for top applicants to browse through your open positions and quickly apply for a new role with your organization. With the new widget, your applicants can filter positions by job family or location to quickly see the roles they’re interested in. The new layout shows important details in an easy-to-read card format for each role. Hireology admins can also change the widget colors to match company branding in the “Career Site” settings tab within your account. 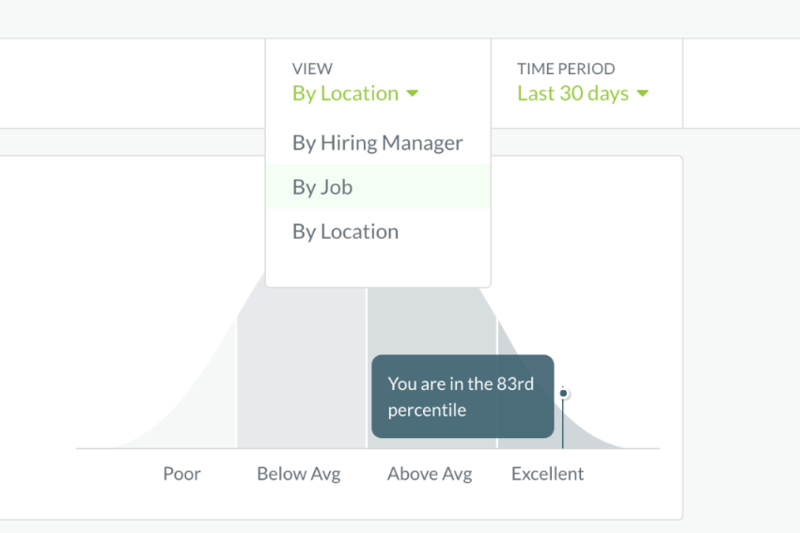 Insights users now have the ability to analyze hiring velocity performance by job in addition to the existing options of location and hiring manager. This will help compare how fast you’re making hires across different roles to see if some positions are taking longer to fill than others. Users with Insights access can find this new option in the view dropdown in the upper right of the Insights screen. As many companies look ahead to a busy end of year, it’s easy to stay organized with our tagging and @Mention features to sort through candidates and loop in other hiring managers to the conversation without getting bogged down by email. Learn more by watching our tagging walkthrough video or reading our @Mentions best practices. 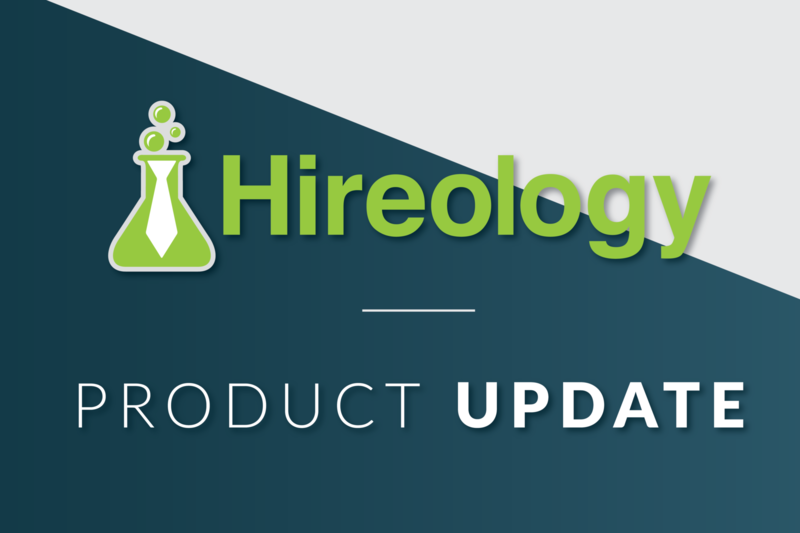 We’re planning a few exciting updates for 2018 and are looking for current users to help shape the future of Hireology. You can help by taking this quick survey on using mobile apps to help run your business. We’ll be bringing additional Insights enhancements as well as a powerful new approach to applicant sourcing next month to help you staff up strong as we look ahead to a busy winter hiring season.